Best M.P.S. / MTS Exam Courses in Kalyan, Thane, Mumbai, Maharashtra. 0ur Institute has begun working from the base i.e. Maharashtra Talent Search / Maharashtra pradnya shodh pariksha exam at the school level. M.P.S./ M.T.S. exams prove to be a great assets for future regarding forth coming academic exams as well as competitive exams. Best Scholarship Institute in Kalyan, Thane.Mumbai. Welcome to our institution. We have prepared a superb programme that will help you to fulfill your dream of becoming scholar as well as prepare you to face the challenges of the non-stop competitive world. That competition has reached to such a height and getting admission for the desired course of studies is becoming difficult day by day. Everywhere we have to go through entrance exams.Keeping this view in mind, our institute has begun working from the base i.e. Scholarship exams at the School level. Scholarship exams prove to be a great assets for future regarding forth coming academic exams as well as competitive exams. Best Institute For Exam Courses in Kalyan.Thane, Mumbai. Educational Institute of Future Achievers is a ISO 9001:2008 Certified Institute, tackle all type of entrance Exams. Take A Right Move For Bright Future “E.I.F.A.” Institute Tackle all type of entrance Exams. In the today's world if you wanted to go any professional firm. You should be go with Entrance Exams. Why Only “EIFA”? The 'EIFA' Institute programmes prepare the candidates appearing for all types of competative level exams. It is important features are as follows. » Systematic & Thoroughly Preparation » Well Qualified and Experience Faculties » Easier and Shortcut Methods » Comfortable Batch Size » Mock Test for Extra Practice » Emphasis of Clarity of Concepts » Enough No. Of Interactive Sessions. Best Institute For Entrance Exams in Kalyan West.Thane. 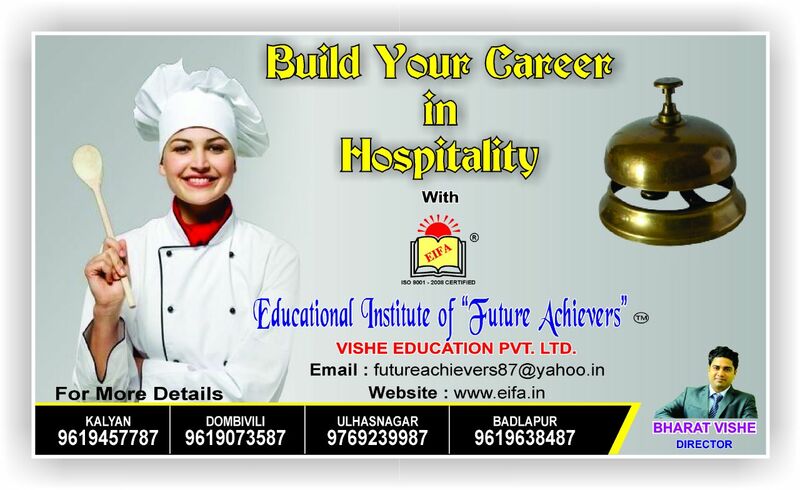 Educational Institute of “Future Achievers” is Certified Institute, tackle all type of entrance Exams. In the today's world if you wanted to go any professional firm, you should be go with Entrance Exams. We have prepared a superb programmer that will help you to fulfill your dream of becoming scholar as well as prepare you to face the challenges of the non-stop competitive world. Welcome to Educational Institute of “Future Achievers”. “E.I.F.A.” is a ISO 9001:2008 Certified Institute, tackle all type of entrance Exams. In the today's world if you wanted to go any proffessional firm, you should be go with Entrance Exams. We have prepared a superb programme that will help you to fulfill your dream of becoming scholar as well as prepare you to face the challenges of the non-stop competitive world.